If you’ve ever applied for a mortgage, you’re almost certainly familiar with a “Good Faith Estimate, ” which gives you a rundown of costs associated with your mortgage. According to a recent sidebar in Money Magazine, the average costs associated with a $200, 000 mortgage (excluding taxes, prepaid interest, and insurance) are $3, 024 (roughly 1.5% of the loan). If you’re being asked to pay much more than that, then alarm bells should be going off in your head. So… The next time you apply for a mortgage, be sure to take a close look at the Good Faith Estimate and make sure there aren’t any outlandish fees. space probes and zero day attacks. Once you lock a rate, are you committed to proceeding? If your rate goes down during a refi, can you renegotiate it? If the appraisal comes in higher than expected, can you renegotiate anything? My lender’s GFE (credit union) is higher than what she quoted and emailed but said not to worry cause the new rules makes them overestimate? At what point should the numbers match what she told me? When can one back out of the refi process if you think you can get a better deal elsewhere? How do you recommend I negotiate these fees? Not all home appreciate, or depreciate, at the same rate. The bank will want some kind of proof that you are within 80% LTV. When I worked for a bank, we would first to a value assessment to see if it is likely that your home could be at 80%. Usually looking at similar home sales in your area and sometimes what the county assessed your property’s value to be. If there was a good chance of you being at 80% LTV, then we ordered a drive-by appraisal. Each bank is different, so what we did may not be what other banks do. You can always refinance. That would require a new appraisal, and thus the new loan would be under 80% from the get-go if your home did appriciate enough. If it did not appreciate enough, you can take out a home equity loan for everything that is over 80%. 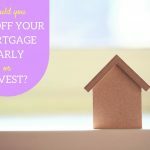 You can do a home equity loan (which is a fixed rate, but the rate may be higher than the first mortgage rate) or a line of credit (a lower rate, but variable, be careful with these). Banks do require stronger credit and liquid assets if you are going to take out a 2nd mortgage that is over 80%. P.S. I am truly a penny pincher, so I do NOT want to have to pay for an appraisal in order to prove that the value of my home has increased. Is there any other way? What about private mortgage insurance? We’ve paid over $40 a month for almost 5 years for this because we didn’t have a 20% down payment. But we have stellar credit (have never missed a payment on anything) and we have our mortgage payments bank drafted. I believe our home’s value has increased by at least $10,000, maybe 20. I wrote to them and asked them to consider dropping it, but they wouldn’t until we get to the 80% mark. Is there ANY way to get them to drop it early? This article is very misleading. I was a mortgage loan officer for five years (not anymore, so I have nothing to gain). Maybe these are national averages–I don’t know–but the those fees are a lot higher than that in Texas. Also, processing, doc prep, and title fees are not negotiable. That’s one thing I wished I had done more of, negotiate some of those negotiable fees. This is a good list for home buyers. I don’t know whether this list is also applicable in my country. But I will keep this list as a reference next time I buy my first house. Thanks Nickel…as we are looking for a home in Taos, I am just learning a lot about mortgages. This certainly helps when people start talking numbers. I certainly understand that they have to pay the bills, but, if it is a separate line item then I think it should be explained. If someone that is processing the loan makes $20/hr and the overhead is another $20/hr, then the origination fee itself is nearly equal to 20 hours of work. (if my math is right) I don’t think someone is spending that kind of time originating my loan. Wonderful info! I’m looking at purchasing my first home and this came in handy. They should be able to put things that are under their control (e.g., origination, processing, loan prep, etc.) in writing. Certain other costs are potentially out of their control (e.g., pest inspection, appraisal, closing attorney) so they can’t do much more than estimate them as accurately as possible. Since these are estimates, when we do actually negotiate on these fees? Couldn’t they put down a different number at the end when it counts and just say that the beginning negotiated fee was just an estimate? Banks and mortgage brokers do, in fact, incur costs associated with personnel and other infrastructure. They have to pay salaries and keep the lights on. Thus, it’s not unreasonable for the to expect to collect some fees. That being said, I’ve never paid an origination fee. I remember seeing this list somewhere else before, and I still have issues with everything under the “Negotiate these fees” section. I would like to see an article describing exactly why the bank has to charge what they do for that section. For instance, what cost is the bank incurring that it has to charge you $779 for origination fees? Great post. Great timing too. I’m a first time homebuyer looking right now. Great information. Actually, points and origination fees aren’t the same. I believe they’re treated differently when it comes to tax deductibility. Points are deductible (because you’re pre-paying interest), but origination fees are not. Or am I mistaken? Good points, but I don’t agree on the rate lock fee. I’ve helped several people with mortgages and the 2 brokers with the best combination of rates and fees had this rate lock fee. it was 1/2% of the mortgage ammount. But, this then got applied to the closing costs. So, its more of a deposite than anything else. Standard home inspection + radon inspection (if appicable), can be 400$ or so, but well worth it. Also, considder paying “points”, origination fees, and broker fees. They are all really the same fee. So, just calculate it as if they were points.